SplitterControl is a container control that enables end user to embed Grid and show multiple views of the same grid by using its Splitter. This enables viewing more than one copy of a worksheet and scrolling through each pane of the worksheet independently. The Splitter can be scrolled by placing the mouse pointer over it, holding down the left mouse button, and dragging it to the required position. It can be split horizontally and vertically. 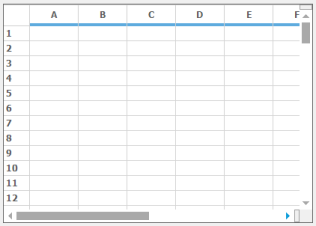 Allows multiple views of the same grid. The control also comes with predefined Default and Metro styles.